The main purpose of this site is to provide information on tango use as a therapy and related issues to the general public. organizations or companies, or their products or services. We do not accept advertising and do not take part in any link or banner exchange schemes . All the health information on this site was written in consultation with a team of medical and therapists experts. The information provided on the Web Site should not be used as a substitute for professional advice. You should not act on any advice given on this site without first referring to your family doctor or another medically qualified adviser. The advice on this site is meant to complement but not replace any advice or information given to you by a health professional. Tango Therapy UK does not collect or track personal information from website visitors except where specifically indicated. Generic information from server logs may be used to track and analyse the number of visits to the site, and to find out what types of browser software are used by visitors. This information will be used only in aggregate form, and used solely for improving web site design. We are committed to protecting your privacy. We will only use information that we collect about you lawfully (in accordance with the Data Protection Act 1998). We collect information about you in order to deal with your requests for information, orders for information materials and to provide you with the best possible service. We will not pass on your details to other organisations. However, your details will be added to our database so that we can send you relevant information as appropriate. If you do not wish to receive further information, please contact us. We will never collect sensitive information about you (for example, your racial origin, details of your medical condition or sexual preferences) without your explicit consent. The information we hold will be accurate and up to date. You can check the information that we hold about you by emailing us. Except where expressly stated in this site, no part of this website, including information, images, logos, photos, and overall appearance of the site, may be copied, republished, broadcast or reproduced in any form whatsoever without the prior written permission of the copyright holders except for their own personal or non-commercial use. The information and advice given is taken from reputable sources, and passed to the public in good faith. However, no liability on the part of Tango Therapy UK or its advisers can be accepted. You should not act on any advice without first referring to your family doctor or consultant. Tango Therapy UK does not guarantee that access to this website will be uninterrupted, that this website will be free from viruses or that this website cannot be tampered with by third parties. This website and the information are provided on an ‘as is’ basis, with no warranties of any kind whatsoever, either express or implied, including, but not limited to, any warranties or any implied warranties of merchantability or fitness for a particular purpose. Use of this website and the information is entirely at the user’s sole risk. In no event will Tango Therapy UK be liable for any damages whatsoever arising out of or related to this website. Your sole and exclusive remedy for dissatisfaction with this website and/or information is to stop using the site and the information. The Courts of England and Wales shall have exclusive jurisdiction in respect of any dispute arising from the website or any information contained in it. 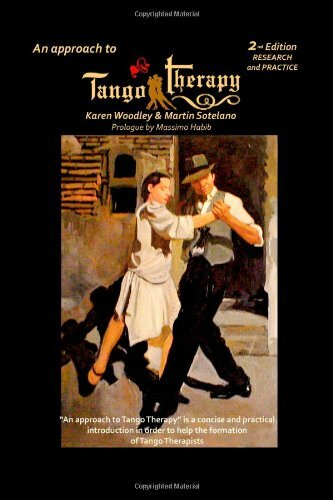 Tango Therapy UK may modify the terms of this agreement on this site. You agree to periodically review this agreement to be aware of any such revisions. Should the revision be unacceptable to you, you agree to stop accessing this site. Your continued use of this website following such notification of any such revision(s) shall be deemed as acceptance of and agreement to abide by all such revisions.